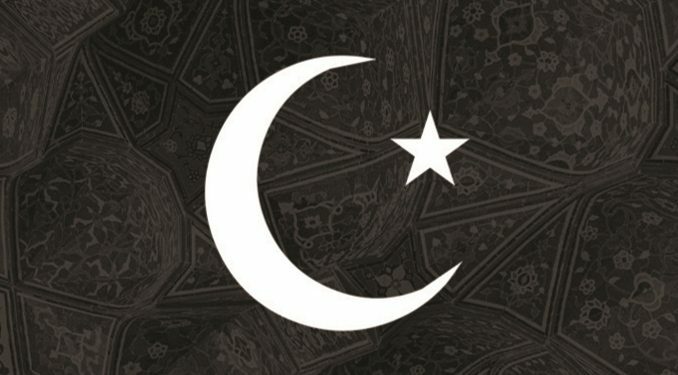 David Rahimi raises some good questions regarding Schall’s book On Islam, but there are a few points that necessitate clarification, along with a needed defense of Schall’s principle arguments. 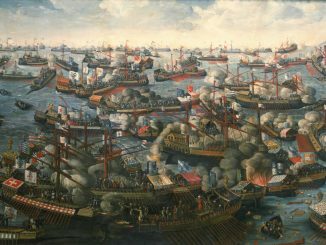 In a recent essay at the Public Discourse, David Rahimi offered a critical review of Fr. 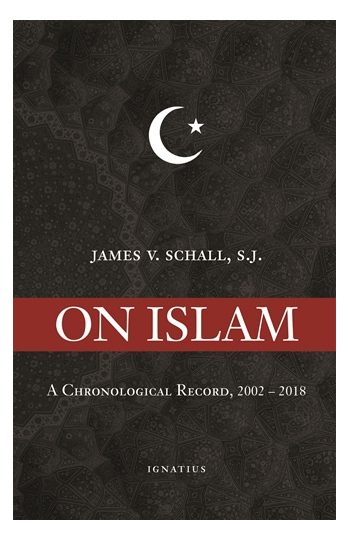 James V. Schall’s recent book On Islam: A Chronological Record, 2002-2018 (Ignatius Press, 2018). While it is certainly the case that Rahimi raises some good questions regarding Schall’s book, there are a few points that necessitate clarification, along with a needed defense of Schall’s principle arguments. I want to focus here on providing an account of three principles that animate Fr. Schall’s book (and his work as a whole), especially as they correlate with specific critiques in Rahimi’s essay. Fr. Schall’s thinking also falsely assumes that theology is a primary concern for Muslims as it is for Christians. Islam, however, is more concerned with practice than theology, as best captured in the phrase bi-la kayf (without how). The Muslim theologian al-Ash‘ari (d. 936) and others often used this term to avoid introducing anthropomorphism into discussions of how God, who remains above human comprehension, is depicted in the Qur‘an. By downplaying theology, Muslims hoped to avoid going “mad . . . prying into God’s secrets” as St. Gregory of Nazianzus once said of Christians. Rahimi’s architectonic critique here is that Schall places too much emphasis upon the Muslim concern for theology. In Schall’s analysis, Islam does not have theology proper, primarily because Islam places a greater emphasis upon faith as law. Christianity, and Catholicism in particular, has an account of theology which portends that human intelligence can, with the aid of grace, reflect upon the content of Divine Revelation. For Schall, this does not mean that human beings can fully comprehend the mysteries of the inner-life of God. But there is a real, albeit limited, capacity for human reason to know certain truths about God, and to understand the truths of our faith that can only be believed as the result of divine revelation. 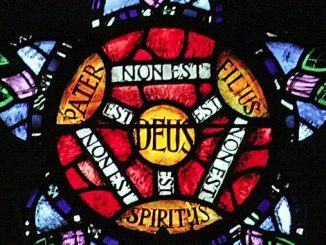 Looking at the tradition of scholastic theology, the Reformers thought they were confronted with a faith system totally conditioned by philosophy, that is to say an articulation of the faith based on an alien system of thought. As a result, faith no longer appeared as a living historical Word but as one element of an overarching philosophical system… Metaphysics appeared as a premise derived from another source, from which faith had to be liberated in order to become once more fully itself. Like Benedict, Schall’s essential argument is that faith must have an integral connection to philosophy and metaphysics—to what is. If religious faith has little or no relationship to the real order of things, if a faith cannot give an account of its relation to the whole of reality, then it is more than likely to end as mere practice. Otherwise, the intellectual content of religious faith will have a serious void. He (i.e., Schall) regularly relies on the largely misinformed Catholic historian Hilaire Belloc (d. 1953) and Benedictine priest and professor of physics Stanley Jaki (d. 2009) when discussing Islam and modernity. Jaki argues that Islam could not give rise to science because of al-Ash‘ari’s occasionalism, but this presumes that most Muslims really believed in it. It also ignores the legacy of medieval Muslim scientists and mathematicians like al-Khwarizmi, al-Kashi, al-Dinawari, Ibn Bassāl, and Ibn Bajjah. Rahimi is right that Schall probably overlooks what Hillel Ofec has called “the Golden Age of Arabic science”. Muslim discoveries in the areas of mathematics, medicine, physics, alchemy, and cosmology are little known historical gems. In the area of philosophy, significant work has been done to show Thomas Aquinas’ indebtedness to Avicenna’s Aristotelian conception of science and metaphysics (for example, see the work of Drs. R.E. Houser and Jon McGinnis). While these affirmations ought to be made, it must also be said that Schall’s position on Islam concerns what is predominant within the religion’s own cultural, intellectual, and religious habits. In other words, Schall is looking at what is common, not what is the exception. Schall’s argument is that occasionalism would seem to find more of a fit within Islam than Christianity. Why? Occasionalism is the position that motions in nature are “occasions” for God to act directly in the world. In such a perspective, there is little to no room for secondary causality. Through the lens of occasionalism, an object falling to the ground is being “pulled down” by the direct action of God. Schall’s argument is that devoid of an account of nature, it will be difficult to see an intelligence or order present within it that has substantive explanatory power. In this light, Schall has continuously stressed the importance of Christianity and its relationship to science and nature. It is not that one must be a religious believer to understand the nature of a particular atom, the human nervous system, or this desk in front of me. The Christian sources of faith are not, in themselves, a guide for how one could develop a university program in, say, biology or physics. A Christian scientist would need to consult those sources of wisdom that lay outside the locus of divine revelation as found in Sacred Scripture and Sacred Tradition, interpreted by the Church. The question before all of us—Christian, Muslim, or otherwise—is whether nature is an immanent intelligible actuality. If there is no such thing as nature, or if we had no access to what something is, then the human mind could not perform the activity of science. If nature does not exist, then the human mind has no connection or relation to anything outside of itself except in some artificial way that merely attempts to “save the appearances”. Schall’s concern about Islam is that it possesses intellectual tendencies and institutional structures that do work against fostering a more wholesome relation between its specific religious claims and other fields of knowledge. A final perplexing aspect is that Fr. 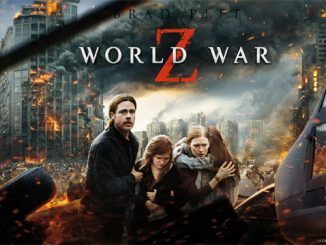 Schall imputes an undue malevolence to all Muslims’ desire to make the world Muslim regardless of their attitudes towards violence, yet he does not provide an explanation for why the Catholic desire to make the world Christian is dissimilar. Indeed, many Christian missionaries in the nineteenth century were viewed by Muslims as conspiratorial expansionists, just as Fr. Schall and others view Muslims today. Schall has often noted that Islam is more of a totalist system, one that pervades every specific area and level of one’s life, socially and politically (Alexis de Tocqueville says much the same in Democracy in America). In contrast with what seems to be the dominant tradition in Islamic social and political thought, Catholicism puts pride of place upon the transpolitical character of the faith. Jesus did command His apostles to “make disciples of all nations,” but the priority was on the disciples, not the nations. Schall’s Augustinian approach contends that politics is limited by the transcendent destiny of every human being, such that the making of Christian disciples is not a political project. Schall often remarks that salvation can be had in any regime, be it good, evil, or somewhere in between. Rahimi’s essay has provided substantial questions that Schall’s approach could clarify and flesh out in greater detail. At the same time, my hope is that an initial explication and defense of these three principles operative in Schall’s corpus, including On Islam, might reveal Schall’s wisdom in helping us to reflect upon reason and revelation in our times. Brian Jones is the Coordinator of Liturgy at St. Anthony of Padua in the Woodlands, Texas. He is also a philosophy PhD student in the Center for Thomistic Studies at the University of St. Thomas in Houston. 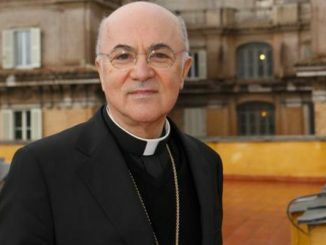 His works have been published in New Blackfriars, Crisis, Catholic World Report, HPR, and Catholic Social Science Review. I read Rahimi’s piece as well as some other of his writings and he paints an historical, somewhat ‘peaceful’ version of Islam that downplays its violent inception and its spread throughout the world by means other than preaching. [writing in mid-century] “There is something decidedly Islamic in original Protestantism, with its idea of an all-controlling hidden God and His infallible Prophet, its secularization of marriage, its Puritanism and messianism. Even today some of the survivals of original (i.e., pre-liberal) Protestantism in remote parts of Scandinavia, Holland, Scotland and the United States have, at least culturally, more affinity with the Wahhabis than with Catholics from which they stem. It must be borne in mind that not so much the authoritarian organization but the liberal theology of Catholicism was the target of the reformers” (Eric von Kuehnelt-Leddihn, “Liberty or Equality,” 1952, p. 221). Rahimi’s first statement about Islam’s de-emphasis of theology is a strawman argument. Strawman arguments are false and indicate an underlying weakness in Rahimi’s thought. Schall’s real point on Islamic theology made is that it is very limited and centers largely on the Islamic idea that God’s will is arbitrary, and not loving and rational. Ironically for Rahimi, he seems unable to grasp Schall’s point about the weakness and errors of Islamic theology, because Rahimi insists Islam doesn’t stress theology…which is the fundamental problem Schall is highlighting.